Postindustrial Appropriation documents grassroots efforts to reclaim, reuse, preserve and enjoy iconic but economically obsolete industrial places in the American Rustbelt and in other settings of urban decline. Exploring a range of largescale deindustrialized sites including automobile factories in Detroit, an iron mill in metropolitan Pittsburgh, grain elevators in Buffalo, and port sites in New York City, it tells the unlikely stories of these reclaimed places and the do-it-yourself protagonists that have led these revivals. After decades of vacancy, deterioration, demolition, failed plans and plans that failed to materialize, DIY actors have succeeded in bringing activity back to sites that have stubbornly resisted both public sector revitalization initiatives and private sector led redevelopment schemes. While these experiments in postindustrial reclamation are far from complete, they defy conventional expectations about how such places can be reused and suggest new ways to preserve, adapt and engage abandoned urban sites. Daniel Campo is a NYC/Baltimore-based urbanist. He is Associate Professor and Program Director of City Planning in the School of Architecture and Planning at Morgan State University. Campo is the author of The Accidental Playground: Brooklyn Waterfront Narratives of the Undesigned and Unplanned (Fordham University Press, 2013) and has published articles on a range of subjects including urban design, public space studies, placemaking, public art, downtown revitalization, history of the built environment and historic preservation. 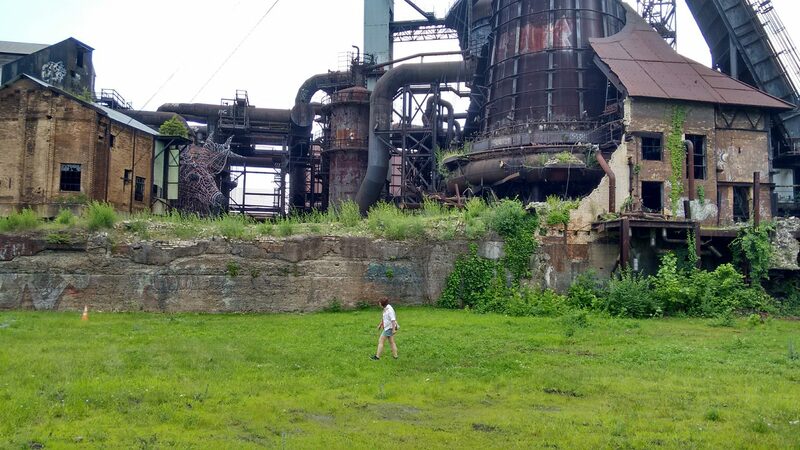 Building upon his suite of peer-reviewed papers examining do-it-yourself heritage practices at sites in Buffalo, Detroit, Pittsburgh, Philadelphia and New York; he is presently working on a book that explores grassroots efforts to preserve, reuse and enjoy iconic but decaying industrial complexes across the North American Rustbelt. Campo holds a Ph.D. from the University of Pennsylvania and was previously a planner for the New York City Department of City Planning.